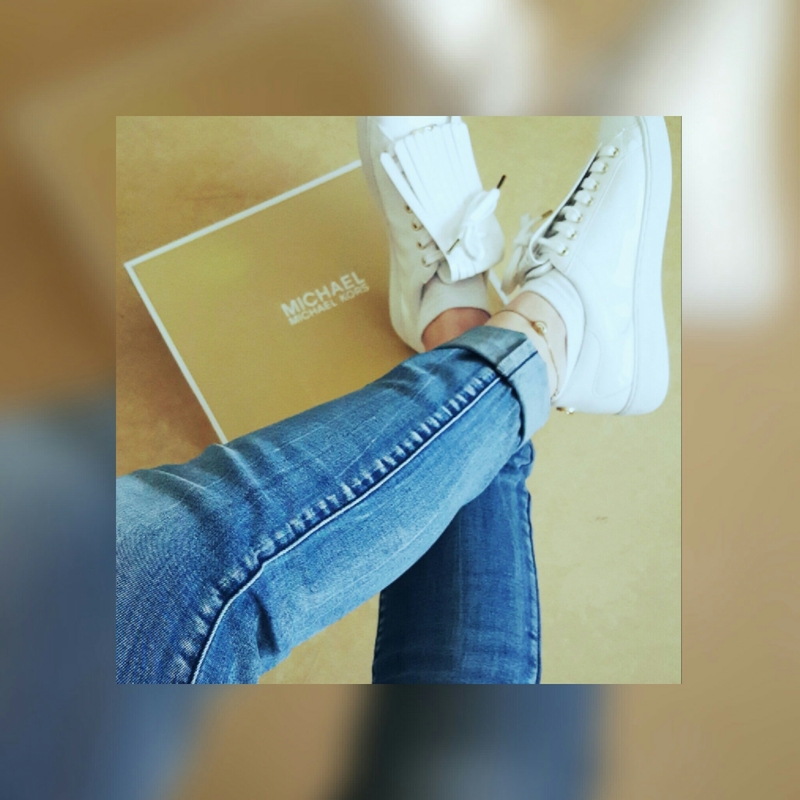 Michael Kors shoes and bag – Miss La Rosa ! I’ve never been one of those shoe-aholics, until I saw these! Don’t you think there cute, crazy and beautifull at the same time? I absolutely love these shoes! They’re so comfortable and also look beautiful. They are form Michael Kors and so is the amazing bag that is also on the picture. Michael Kors is perfect for people that want fashionable but not cliché, beautiful but not mainstream. And so do I, that’s why I fell in love with these. What I like most about the shoes it the flap on top of the laces. It makes the shoes different from others and I think it really gives it a little something extra. The bag is gold and I like that beacause I think gold is a powerful but also a classic colour. Also the disign is stunning! Ps: Here is a picture of me wearing them (with my friends in Paris, Museé Podin, Le Penseur).